Rossmann drugstore becomes another widely recognized brand that will open its store in Galeria Chełm. Planned for 420 sqm new Rossmann will be the largest store of this brand in Chełm and the first one in the city developed according to the latest brand design standards. Thanks to the new Rossmann store the Galeria Chełm offering will get enriched with a comprehensive range of drugstore products. 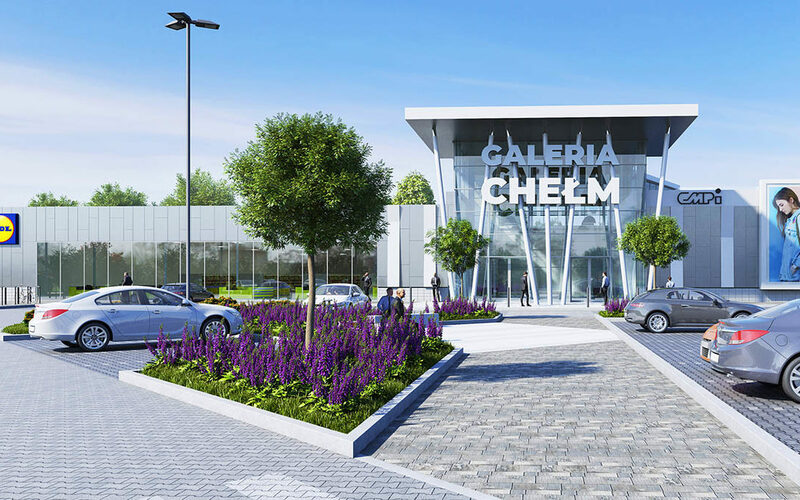 Galeria Chełm, which opening is scheduled for the second half of 2019, has enriched its offering with the Rossmann brand. Completing the lease agreement for the retail premises of 420 sqm, Rossmann confirmed the opening of its largest drugstore in Chełm, which will also be the first in this city, which will fully fit into the new design line of the brand stores. The presence of Rossmann – known as the favorite drugstore brand in Poland – in Galeria Chełm, will enable customers to do comprehensive, convenient shopping at affordable prices in a modern and friendly environment. – Such an awaited investment as Galeria Chełm, could not be lacking Rossmann. Our fourth store in Chełm will stand out in size – it will be the largest Rossmann store in Chełm. Its great advantage will also be the comfortable location, vicinity of other stores and convenient parking – explains Agata Nowakowska, Rossmann’s Spokesperson in Poland. Rossmann is the leader of the drugstore market in Poland, covering 29.2% of this segment. Approximately 700,000 customers do their shopping in Rossmann stores each day. Currently, Rossmann has over 1,250 stores and 18.7 thousand employees. This year the brand has celebrated the 25th anniversary of operations in Poland. Rossmann stores offer 21.5 thousand of Polish and foreign products, while having also 35 own brands under its assortment. To make shopping even simpler, an online store has been launched since February 2015. By logging into www.rossmann.pl one can order favorite products at any time, without leaving home. In addition, since April 2017 the Rossmann PL application has been launched. It allows to join the Rossmann Club offering variety of discounts as well as highly customized shopping experience. Galeria Chełm on the area of 17.5 thousand sqm. will offer – along the Lidl supermarket – 55 commercial premises and over 550 parking spaces. The plot on which the new shopping center will be located at the junction of Lubelska and Rejowiecka streets (also constituting the Chełm beltway), in the major transportation hub of the city. The Galeria Chełm’s catchment area covers nearly 300,000 residents as well as the cross-border traffic with Ukraine and Belarus. The construction works will start in the third quarter of 2018, and the Galeria Chełm grand opening is planned for the second half of 2019.